What are your assumptions on online education? The importance of questioning assumptions. Commercialization of academia, commodization of instruction. Is it a solution to the crisis to the financial debacle? The foremost promoters of this transformation are rather the vendors of the network hardware, software, and “content”… who view education as a market for their wares, a market estimated by the Lehman Brothers investment firm potentially to be worth several hundred billion dollars. “Investment opportunity in the education industry has never been better,” one of their reports proclaimed, indicating that this will be “the focus industry” for lucrative investment in the future, replacing the health care industry… It is important to emphasize that, for all the democratic rhetoric about extending educational access to those unable to get to the campus, the campus remains the real market for these products. I am finding this MOOC an interesting phenomena and would highly recommend that this be included in an “informal course” of research study. My reasons are: MOOCs sound quite paradoxical and political to Higher Education and HE institutions, even for most of the MOOC providers and elite institutions. Revolutions were always bottom up act, when people were not happy with the existing conditions. There were a few revolutions that were “politically motivated” in the history of human, that were against some “parties”. So, to have revolutions initiated from the top institutions, like HE institutions sound really interesting. What are people revolting against? Their own system, or an old system that they don’t want. But is this dangerous, if it is their own system, as the system includes people working within the system? If it is an old (existing) system, then what are the problems with the existing system? High tuition fees? Poor completion rates? Decreasing enrolment? Lack of funding? Lack of choices for the learners in education and learning? Inadequacy pedagogy? Lack of a global focus in education? Too much mass lecturing? Lack of interests from students in those mass lectures? Lack of education platforms for students to interact with? What vision and missions are the institutions trying to achieve? If it is really free and open Higher Education, then what does it mean to their existing system? If it is to educate the world for “free”, then this would need to be carefully explained to the world, as the world would have certain expectations, like really “free” education, without any payment, or any conditions. That is, whether those OERs are really open to the public and are free under those conditions? I doubt if any study at a PhD level would “dare” to touch on the sensitive nerves of HE and institutions, as a result of MOOCs. I wonder if any PhD supervisor would be willing to take up any PhD students working on such a study, though any one who is courageous enough would be able to showcase a “ground-breaking” research that reveals all the opportunities and challenges of MOOCs. I still haven’t read a research paper on xMOOC that is “neutral” in reporting what actually happened in xMOOCs, and the associated learning and feedback on xMOOC based on the “massive” students who completed or didn’t complete the course. As I have shared, there are simply too many assumptions behind these MOOCs movement, due to the complexity nature of MOOCs and the lack of available statistics to draw up any pattern or conclusion. The diversity of our learner profiles with a wide range of educational backgrounds, skills, and aspirations makes the offering of a one-size-fits-all approach increasingly ineffective, and frustrating to both the institution and learners. There is no doubt in my mind that the future of higher education will be digital, open and mobile. Is it a fantasy? Higher Education will be digital, open and mobile, rather than the brick and mortar, as it is now. 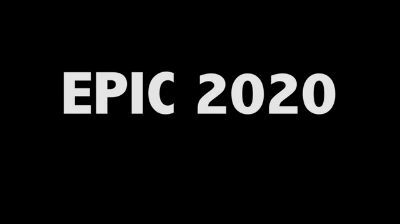 In this EPIC 2020: Higher Education in the Year 2020. I don’t think I am convinced of the “transformation of higher education” yet, even with the dramatic introduction of Sal Khan Academy, or the recent MOOC movements, though they are creating enough “disruptive technology” to the HE itself. Why? Transformation of education comes at a price, in terms of the paradigm shift, and the pedagogy that best appeals to educators and learners. Education wouldn’t be changed much unless there are associated changes in the way we teach and learn. Even if you could prove that a huge number of students could “succeed” in completing online courses, by passing with good marks, there are still certain “commodity” that cannot be challenged or exchanged. What is it? The values well laden in the “qualification market”, where qualification is still the number one hall mark for a number of professions. For instance there are certain professions which would only accept formal qualifications, such as those who practice as doctors, lawyers, engineers, accountants, pilots, and even professors. Universities in the HE are still the gate-keepers of all qualifications, and that would likely be the case in the coming decades. Is there really disruptive technology in education? John Dvorak argued that disruptive technology was just a myth, back in 2004. I am however, more than convinced that disruptive technology is indeed a reality as revealed through its adoption throughout the ubiquitous networks, and cheaper mobiles and emerging technology are quickly replacing the old technology. Who would want to break through in education (or Higher Education) via technology – be it sustainable or disruptive technology? Even after correctly identifying potentially disruptive technologies, firms still must circumvent its hierarchy and bureaucracy that can stifle the free pursuit of creative ideas. Christensen suggests that firms need to provide experimental groups within the company a freer rein. “With a few exceptions, the only instances in which mainstream firms have successfully established a timely position in a disruptive technology were those in which the firms’ managers set up an autonomous organization charged with building a new and independent business around the disruptive technology.” This autonomous organization will then be able to choose the customers it answers to, choose how much profit it needs to make, and how to run its business. 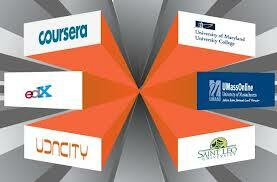 What seems to be happening with the numerous initiatives such as MITx, EdX, Udacity, Coursera etc. have been rightly predicted and charted out by Professor Clay Christensen. Those “x” extended from the institutions would become an autonomous organization to experiment with new potential and emerging disruptive technologies (the MOOC) and (research resulting from the MOOCs). This would probably be a route with no return in this sort of experiments, and Higher Education movement. Higher Education CAN only afford to succeed, under the current economic climate, as more administrators are looking for alternative ways to fund their programs, and students are also looking for cost-effective solutions to their own education. What would then be necessary to drive this education in a way that would guarantee success, rather than risking for failures? There is simply no magical formula here, as our future is driven by “complexity”, and is likely governed by “complex” though strange attractors that would lead to a whole different world of education, even in a few years time. How do I see coding? Coding is what you should learn, no matter how old you are! That sounds like the message I have got from the video, especially from this post. I have watched the video, and left with “mixed” views and feelings. Learning how to code would get you a decent job, and that coding as a sector would grow faster than other industries. Is that really the point? Both Benjamin and Kirsten have got their points. Benjamin asserts that we should be thinking more positively. Kirsten argues that just knowing how to code won’t get kids anywhere. To me: the whole video is sending a message of: “we don’t need no education”, though all the famous people mentioned in the video started with some forms of coding, but not really about acquiring those “skills” through their formal education. Why would such skills be needed so desperately in formal education? Are these coding skills self-learnt as Mark and Bill had done? I would ask: What is the purpose of this video? Who would it be for? Why promoting coding for kids? Is coding really relating to the success of Steve Jobs, Bill Gates, and Mark Zuckerberg etc.? First the title of the video is: What most schools don’t teach? Why? Who decides on the school curriculum? What is to be taught, and what is not? For those people who would like to imitate Steve, Bill and Mark, yes, learning by yourself, without finishing formal education may be what you aspire to. The only question is: Do you think you need an opportunity and a bit of “luck” to be like them? I remember learning computer programming throughout my early studies, and career, but does coding make a difference? May be, not much, if I am not creating a social media or computer business. Where would success be coming from? The real success came not from mere knowing how to code, though Mark admitted that coding was about helping a friend, or doing something that would be done using computer, and it was fun. Success for these famous people came from being able to seize an opportunity, based on one’s skills and perseverance, and an entrepreneurial spirit and drive to create and maintain a business, together with getting the “best” people, engineers, etc. to work with and for them. How would I interpret the video message? Learn something like coding, as it could be fun, especially for our school children, who are curious to learn. Through such coding activity, they may rekindle their interests in learning. We all noted that children like to play games. Teaching children how to code might help them to acquire learning habits, especially when they are young. When they grow older, they could decide if that would help them in getting their dream jobs, this is especially important in face of an unknown future world, with rapidly changing technology, and even the coding itself might have changed significantly that some of them might be replaced by new forms of language in the near future. Would these sorts of videos help children or adults to take up more opportunities to learn about coding? Yes, if coding leads to better job opportunities, especially for those who are un-employed, or those who are interested in computer technology, or technology in social media or education, AI etc. May be another question is: What do the children want? Games? Or learning to code, in order to create games? If children are to learn more about games, or play games, then coding may help, but it is not necessary to “teach” children how to code, as they would learn them through self-teaching, through the internet, or by peer-learning and sharing over networks. There are a lot of questions and challenges relating to posting videos of famous people, in promoting a certain set of values, that may not be that clear for the public. There are also economics involved in each promotion: the supply and demand of certain skills for different people. Why are we always seeing different comments or critics on videos on promotion? One of the reasons may be due to our difficulty in understanding the motive behind any “promotion of education” video. This is why there are always “hype” and “myths”, or even memes around education, learning nowadays. There are critics based on critical analysis, whilst there are also remarks which may be due to doubts and uncomfortable feelings with the video message. There are even “political” views on such promotion of coding, or the promotion of the people themselves – with some praises, and negative comments, that may be due to complicated reasons. To what extent would you believe that coding would make you a “better” learned person? I would leave them to you to judge. Here is my response to Peter’s nice post on what responsibilities will mooc assume. Would the important question be? Who are responsible for what when issues emerge in MOOCs? As I have shared in my post, it seems that duties and responsibilities need to be defined in contracts and agreements under partnership and alliance in MOOC. This might already been done. However, when there are problems arising from design of the platform, or the interaction of participants of MOOC with the MOOC platforms (tools) or professors, the professors would always be the persons to tackle the problems, and likely the ones to be “blamed” if things don’t work, or if there are communication breakdowns between professors and students. Would professors be focusing mainly on the teaching duties in MOOCs? I reckon most professors would concentrate on their teaching in a face-to-face environment, leaving the other issues on communication or IT problems to the customer service or IT section to resolve. This is where there may be an administrative duty required by the professors when conducting their sessions online. Would professors be expected to carry out those administrative duties, customer service, IT support, and communication duties (i.e. responding to all students’ questions in the forum, students’ complaints, and resolving any issues related to MOOC and the system)? Are these responsibilities clearly defined for the professors and accepted by them? Do they clearly understand their limits of authorities and responsibilities in a MOOC? Are they ready to accept those challenges when teaching in open spaces? What are the policies and procedures relating to the duties and responsibilities of the institutions and MOOCs on those areas? Are these guidelines openly available to the professors and students? This again reinforces the need to develop and implement risk management and contingency plans to mitigate the impact of risks in such cases. These are systemic issues (see this how not to design a MOOC), in quality terms, when policies and procedures may need to be in place, like those designed and implemented under institutional management, especially in the probing, sensing and responding to undesirable or significant unresolved disputes or failures. There are however, also demerits such as bureaucracy that may hinder the rapid progress of MOOCs, leading to quick launch and rapid removal of courses once they fail to meet the quality criteria, or fail to resolve the complaints. What may be an alternative solution? This is where MOOC with a machine auto-generated features of information and assessment provision might be better off in online education (like the i-tunes, Google search, or the online brokering course platform, and the assessment centres) where the system is to be blamed if there are problems in the access of information and “knowledge”, not any particular professors or persons in a MOOC. However, would this be like an information bank system, where human (professors) are behind the scene educators using AI to deliver the education and teaching? In the case of MOOCs where there aren’t much channels of “feedback” on their system, especially when people are reminded they are actually receiving their education for free, what else would you expect from our professors and institutions? This may be different if education is costing the “consumers” and students in a formal course, as there are certain duty of care which has to be exercised by the authority under a formal education system. If MOOCs are treated merely as experiments or taster courses, with no frills obligation, is it still an issue? May be there are important lessons here, not only in duties and responsibilities, but the ultimate vision and mission of the institutions, governments, and the meeting of the needs and expectations of the participants and professors, the institutions and the MOOC providers. This is a multi-party education provision with an open to interpretation relationship where each party has a role to play, though such roles are not easily defined clearly in all cases, and quality of education needs to be re-defined beyond mere teaching online. Would professors need to be supported in MOOCs? Are course design and pedagogy an issue (due to the differences in pedagogy and expectations between learners and professors)? These are all hard questions without an absolute answer. What are the assumptions of the institutions, professors and learners in quality, design of course, technology used, and pedagogy in MOOCs? Dear colleagues, Would you be interested in presenting a short video, slideshow, a blog post of interest? You might like to nominate the topic. There are many topics – the x and cMOOC, learning experiences with MOOCs, pedagogy with MOOCs, role of educators and learners in an online environment, OER, digital citizenship, digital scholarship, critical literacy, mobile technology and learning, social media experience – blogging, twitter, Google +, etc. This could be a few minutes (3-5 min) presentation with video on Youtube, slideshare, or chatting over FB, Twitter, or Google Hangout etc. What I would suggest is: any of our members could facilitate the session, so far if we could keep it interesting, informal, engaging and interactive, that would be wonderful. We are all busy people, but if you would like to share something that really interest you and others, then would it be nice if we could have a short MOOC within our Community? 1. A short “unevent” – where we could organise to be held in a day or two. 2. A list of topics of choice – say on 4-5 topics. 3. No particular format – any format that would suit your needs, even a common chat could do (twitter, or this FB, or Google Hangout, or Google chat) or asynchronous posting of blogs, or this FB postings. 4. Time: what suits you most, taken time zone into consideration. 5. Links to the different MOOCs – edMOOCs, mobiMOOCs or an adhoc MOOC that you would like to organise. Finally, we would surely have great success, as it is designed by you (us), and for you (and us). Please share your thoughts on this. If you like, please help in designing a logo and a badge for this short MOOC event. We would ask our Community to decide which ones to use. We would post the logo and badge as part of the brand to this MOOC event. So, it is a connective and collective design of the Community. The wisdom of the CROWD. That’s YOU. Here is the Google Plus ConnectivismEducationLearning (CEL) Community. This post is intended to share my views on the challenges of MOOCs. Here are some resources on the development of xMOOCs. What are the major challenges with these xMOOCs? A difference in use and expectation of the pedagogy by the professor and learners. 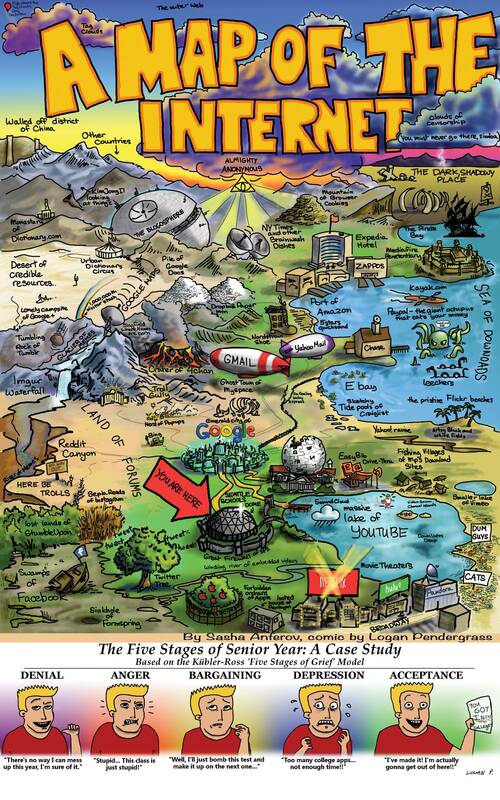 Pedagogy of xMOOC – mooc-pedagogy-the-challenges-of-developing-for-coursera. The recent incident professor-leaves-a-mooc-in-mid-course-in-dispute-over-teaching well illustrates this. I have shared my views on pedagogy on MOOCs here and here. On openness rather than scale in MOOC. Problem with the use of technology and social media in the course. Here coursera-forced-call-mooc-amid-complaints-about-course. Drop out problem. MOOC and the funnel of participation. Business model of MOOC and the revenue. Coursera expansion of their MOOCs -coursera-adds-29-schools-90-courses-and-4-new-languages-to-its-online-learning-platform. How-EdX-Plans-to-Earn. Comment: I would reflect on each of the 8 challenges and how to tackle them in coming posts. Branding, is the new name of the game, under a MOOC arena. Sounds too good for us. Branding within institutions have been based on the Open Educational resources (OER) movement for more than a decade. The introduction of xMOOCs last year has shifted the attention from OER to MOOCs for many institutions. The success of xMOOCs could also be attributed to the branding of many elite institutions – as ones who would provide MOOCs, that are believed to be able to transform education, and revolutionize Online and Higher Education. Lead the change, with branding seems to be the way to go, with lots of higher education institutions, together with the MOOC providers.